© Ross E Smith Memorabilia – PO Box 353 ERINDALE ACT 2903 Ph: 02/6292 1266 – reproduced on this site with the kind permission of the author. All rights reserved. No part of this page may be reproduced or transmitted in any form or by any means, electronic or mechanical, including photocopying, recording or by any information storage and retrieval system, without prior permission in writing from the author. Dedicated to those who served their country in the Australian Army Training Team Vietnam (AATTV). The war in Vietnam, between the North and the South, followed the aftermath of the war of 1939-45 when the Viet Minh under Ho Chi Minh became the thorn in the side of the French in what had been known as the French Colonial area of Indo-China. The Viet Minh grew from an underground communist movement, which had fought the Japanese in World War II. After 1949 Communist China fed supplies to the Viet Minh and their strength increased to the stage where they defeated the French at Dien Bien Phu in 1954. Under a 1954 Geneva Agreement, the Viet Minh were to remain north of the 17th parallel. Vietnamese supporters of the French colonial rule were to remain in the south until free elections could be held in the country. Then the Viet Cong became active and the communist-controlled force aimed at overthrowing the South Vietnamese Government. The United States of America intervened and by 1962 provided military and civil aid and had deployed 10,000 military instructors and technicians to assist South Vietnam. The Australian Government then decided to assist and as a result the Australian Army provided a team of instructors to work with South Vietnamese units in July 1962. 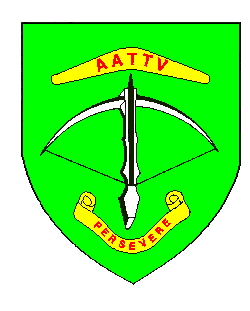 These advisors, known as the Australian Army Training Team Vietnam (AATTV) joined with the United States advisory teams to work with South Vietnamese units, mainly in the northern provinces of South Vietnam. The AATTV was both elite and unique. Its members were specially selected, it was small, and for its size it was one of the most highly decorated units in the history of the Australian Army. Ten members of the Royal New Zealand Infantry Regiment also served with the AATTV. Its claim to uniqueness springs from a number of factors. It consisted mostly of officers and warrant officers who operated individually, in pairs, or occasionally in small groups; and its task was unique; training, advising, or commanding a variety of Vietnamese forces. The first Australian unit into Vietnam and the last out, it was operational for ten years, four months and eighteen days, achieving the distinction of being the longest serving unit of any service in any theatre of war. Even if only because of its name, it is not likely to exist again. The following imperial and foreign honours, decorations and awards were conferred on members of the AATTV. Republic of South Vietnam Awards. Citation for The Australian Army Training Team, Vietnam The Australian Army Training Team, Vietnam distinguished itself by exceptionally meritorious conduct in the performance of outstanding services from July 1962 to October 1971. Throughout the foregoing period, the members of this valiant Team consistently manifested professional competency and the highest degree of dedication in their advisory efforts on behalf of a beleaguered nation – the Republic of Vietnam. As an operational entity composed on individually selected volunteers, the Australian Army Training Team, Vietnam displayed unexcelled initiative, relentless perseverance, and undaunted courage in providing advice and assistance which enhanced the ability of the Armed Forces of the Republic of Vietnam to successfully engage and defeat the enemy on the battlefield. In addition to furnishing technical knowledge with respect to complex tactical operations, this motivated organisation offered its expertise to aid in the implementation of the Civil Operations and Revolutionary Development Support program. Citation for The Australian Army Training Team, Vietnam.The Australian Army Training Team, Vietnam distinguished itself by exceptionally meritorious conduct in the performance of outstanding services from July 1962 to August 1969. Throughout the foregoing period, the members of this valiant Team consistently manifested professional competency and the highest degree of dedication in their advisory efforts on behalf of a beleaguered nation – the Republic of Vietnam. As an operational entity composed on individually selected volunteers, the Australian Army Training Team, Vietnam displayed unexcelled initiative, relentless perseverance, and undaunted courage in providing advice and assistance which enhanced the ability of the Armed Forces of the Republic of Vietnam to successfully engage and defeat the enemy on the battlefield. In addition to furnishing technical knowledge with respect to complex tactical operations, this motivated organisation offered its expertise to aid in the implementation of the Civil Operations and Revolutionary Development Support program. Its accomplishments in this latter area were reflected most vividly in the remarkable progress achieved within the social and cultural spheres of life among the Vietnamese people. Through its dynamic participation as a staunch member of the Free World Military Assistance Forces, the Australian Army Training Team, Vietnam contributed conspicuously to the development and maintenance of a stable and viable nation while operating in a hostile environment. The Australian Army Training Team, Vietnam performed in consonance with the highest traditions of the military and has brought distinct credit to itself and to the Commonwealth of Australia.